This article has the purpose to give general indications on GPS system. Detailed information was intentionally omitted for a better understanding of the subject. GPS is acronym of Global Positioning System. 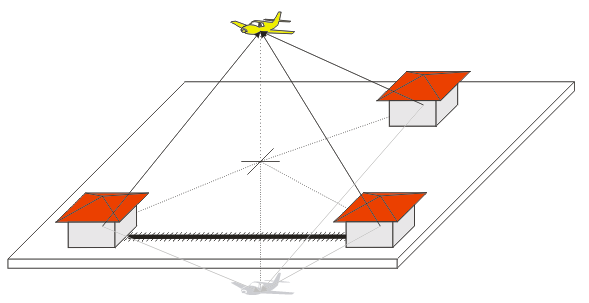 This technology is mainly used for geolocation, that is for defining one precise position on earth surface. The mainly used GPS system is the American NAVSTAR (usually named GPS); however, there are other different systems as the Russian GLONASS, the Chinese BEIDOU and the European GALILEO (this one is in course of production , and I am one of the planners/developers of a part of it). As per the user, the system is composed by two elements: satellites constellation and GPS receiver. GPS satellites orbit around the Earth at about 20000 Km height, then NOT in a geostationary orbit. This means that if we could observe from the Earth surface with our eyes any satellite, we should see them "move" around their orbits, and make two full turns around the Earth. On the contrary, geostationary satellites appear steady observing them from the Earth surface: this is why for seeing satellite television, we have to use parabolas pointing always the same direction in the sky. The constellation is composed by various satellites placed for granting the "vision" (or reception) of at least 4 satellites at any time of the day and at any place from the Earth. Each satellite's orbit (and then its position in the space) is well known and calculable using typical parameters named ephemeris. Knowing the exact position of the satellites, we can define exactly our position on the Earth surface (on condition that we are able to know the distance between us and each received satellite). This process is named trilateration. For better understanding trilateration, let's make a more simple example. Let's suppose to have a rail on which is situated a station, and let's suppose to be on a train stopped wherever along the rail. If we know exactly the position of the station and the distance between the same station and us, we CANNOT know the exact position of the train (this because we could be 1 Km before or 1 Km after the station). Otherwise, if we increase the number of stations, with the same above information we can for sure know our position. In fact, as per the drawing below, if we know the position of the stations and the distance between us and each station (i.e. 1 Km from Station2 and 3 Km from Station1), we are able to know the train position. I hope everything is clear from here. Let's complicate the previous situation. Let's leave the train (that is restricted to the rail) and let's move us at any point around the two stations. Now, knowing the exact position of the two stations and their distance between us, is not enough for knowing univocally our position. (In fact, as per the drawing below, there are two different points 2 Km away from Station1 and 4 Km away from Station2). For knowing where exactly we are, we need a third station; in this way if we know our distance from all the stations, we can exactly know our position. This localisation method is called triangulation. I hope also this part is clear. IIn the same way, if we were on a plane, the triangulation were always functioning. But if we would know also the height of the plane, we were need a fourth station situated at a different height in respects of the other stations (in the previous drawing you can see that using only three stations we will obtain two different heights). This system, used by GPS, is called trilateration. By this example, we can understand the necessity to "see" at least four satellites, and why if we are receiving only three satelllites, we know our position but we have not information about our height. After trilateration, we need to explain how it is possible to know our distance from each satellite. The system used is quite simple. On each satellite is installed a very precise clock (generally a rubidium atomic clock, that is a good compromise between precision/volume/weight). Once time per second each satellite transmits the exact time by radio. Due to a physic principle, radio waves are not transmitted instantly, so the time signal will arrive to our GPS receiver with a little delay (make note that the time signal has to go through 20000 Km). By measuring this delay with a clock, and knowing the speed of a radio signal, we can calculate how many distance the same signal has spent, and so our distance from each single satellite. - a complex calculator that once time a second make the necessary calculations for reaching our current position. The GPS receiver is therefore a passive element, because uses the information given by the satellites without transmit or exchange information with the system. This is why there is no limit in GPS user's number, because each new receiver does not spend resources (exactly the same way as FM radio, where the number of radios tuned on one station does not interact with the functioning of the same station). Thanks for reading this article. If you want, you can give your opinion using the voting menu at the beginning of this page. This will help us to improve our website!